Dropbox is a Personal Cloud Storage service that is frequently used for sharing and storing files including photos, documents as well as videos. The Dropbox application is available for Windows, Macintosh, Linux and also provide apps for iPhone, iPad, Android, BlackBerry devices. The service provides free 2GB storage and after that, you need to pay. 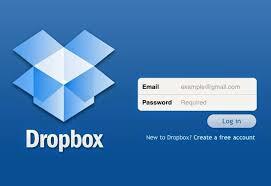 After installation of the associated application, a Dropbox folder appears and the user can access it from anywhere with an Internet connection. The user just has to log into his account and easily upload, download and share files. The cloud storage and collaboration platform used by many businesses and consumers to store their photos, videos and other files from the compromised accounts. But the way Dropbox credentials leaked shows another example of why people should not trust on insecure online collaboration platforms like Dropbox. It is not just personal information that is at risk, but commercially sensitive data as well. Whether this attack is confirmed or not, the best part is that the users turn on two-step verification. This adds a second layer of security into account to protect them from hacking. In Two-step verification whenever the user tries to sign in into account, an additional six-digit security code will be sent to the user’s phone to access their account.